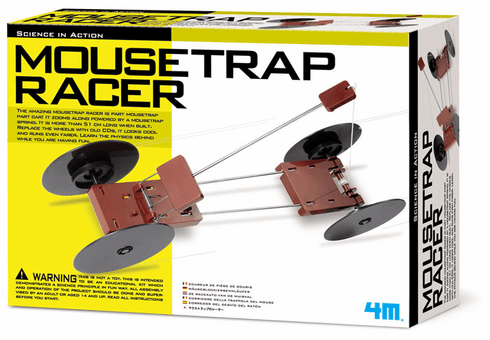 The amazing Mousetrap Racer science kit is part mousetrap and part car! Measuring at over 40cm, it zooms along powered by a mousetrap spring. Replace the wheels with old CDs and it looks great and runs even farther. And all the while your future scientist will learn the science behind the project. No batteries required! Instructions in English, French, German, Dutch, Italian, Spanish, Japanese!